Armagh is the ecclesiastical capital of Ireland and St Patrick founded his first church here. The city is the primary seat for both the Catholic and Protestant churches in Ireland the only city in the world with two cathedrals dedicated to the same saint. High King of Ireland Brian Boru was also buried here after the Battle of Clontarf in 1014AD. The tall spires of St. Patrick's Catholic cathedral dominates the skyline. The interiors are covered in mosaic and the red hats of former cardinals hang from the roof until they fall away. Armagh is also a city full of Georgian architecture built on the request of Archbishop Robinson, including his chapel in the form of a Green temple. The Armagh Observatory built in the late eighteenth century by renowned architect Francis Johnston was also one of this church leader’s favourite places. It is still an astronomical research centre with astronomers in residence. A unique cultural and historical resource, the Cardinal Ó Fiaich library is a free, independent public reference library, which houses important collections relating to Irish history, Irish language and literature, ecclesiastical history, the Diaspora abroad and Irish sporting legends. Armagh is also known as the Orchard County. Bramley apple orchards cover the hills and for a number of weeks in spring, the landscape is awash with pink and white flowers. The location of Armagh is also advantageous to discover local attractions including Lurgan Public Park & Lake, Brownlow House, and the Lough Neagh Discovery Centre at Oxford Island. National Trust estates open for touring in County Armagh; include 17th-century Ardress House and my personal favourite "The Argory ". This splendid property was built in the 1820s and its hillside location enjoys wonderful views across the gardens and 320-acre wooded estate bordering the River Blackwater. The former home of the MacGeough–Bond family has a splendid stable yard with horse carriages, harness room, gas plant and laundry. Weather permitting take a stroll around the delightful gardens or for the more energetic go hiking in the woodland and riverside trails. For shoppers the Outlet a discount retail park at Banbridge offers savings of up to 70% on brands all year round and the Euro is widely accepted. The Linen Green is also an exciting complex situated in Moygashel near Dungannon People visit the Linen Green for many reasons. Some seek traditional linen gifts. Some visit for the range of high quality shopping that simply isn't found on the High Street. 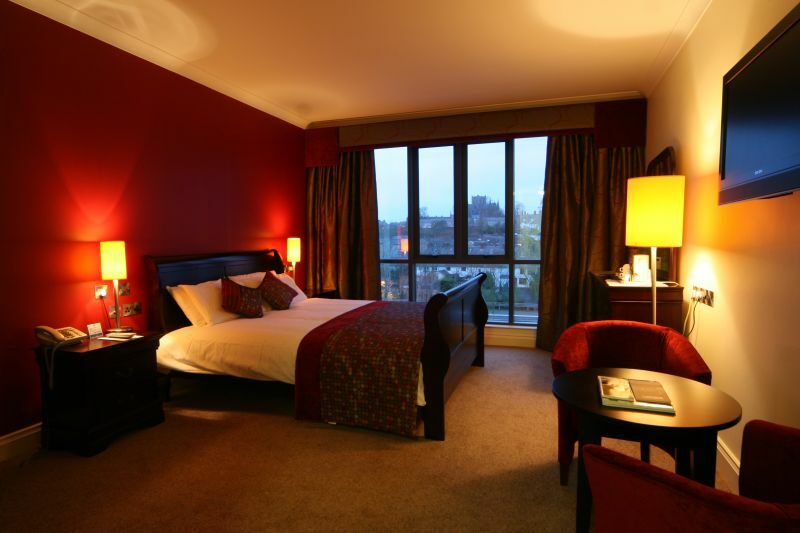 The best place to stay is the Armagh City Hotel part of the premier Mooney Hotel group The property offers every modern convenience with state of the art conference facilities the largest outside of Belfast. Guests can enjoy 120 luxurious ensuite bedrooms, modern cuisine in the Friary Restaurant as well as a state-of-the-art health and leisure club on the grounds. Expect weekly live entertainment on Friday & Saturday nights. Steal away for one night and enjoy total relaxation. Unwind in the Callan Bar over drinks and indulge in a carefully prepared menu for only £118.00 for two. And no need to rush off.... a leisurely breakfast is included ! From the vibrant Belfast city based Wellington Park Hotel, to the tranquil, historical Dunadry Hotel and Country Club, to the ultra modern Armagh City Hotel, the Mooney family have created a unique portfolio of hospitality facilities, each oozing with their own special charm, extraordinary attention to detail and individual touches.